If you’re looking to catch some beads this carnival season, look no further than the 105th celebration of Mardi Gras! Galveston. Taking place Jan. 29-Feb. 9, 2016, Galveston’s Mardi Gras celebration will feature 22 parades as the island’s krewes prepare to throw more than 3 million beads and other trinkets to throngs of revelers. The Mystic Krewe of Aquarius celebrates 31 years since its founding. Join the party at the annual street pageant featuring spectacular floats and 15 marching bands. Costumed krewe members will throw anniversary beads and cups during the parade, sponsored by Miller Lite and Landry’s Hospitality. Tune in to this rockin’ parade as the iHeart Media krewe cruises down the Strand. Buzz 94.5’s Rod Ryan will be rocking out with this krewe! (Family Gras!) On Jan.31, the entertainment district will be free to the public for a FAMILY GRAS celebration sponsored by Moody National Bank. Donations will be accepted to benefit the Sunshine Kids and Shriners Hospitals for Children. Mystic Krewe of Aquarius presents its Fat Tuesday parade in the downtown entertainment district. This grand parade, featuring marching bands, dance teams and dozens of lighted floats, will mark the final hours of Mardi Gras! Galveston 2016. 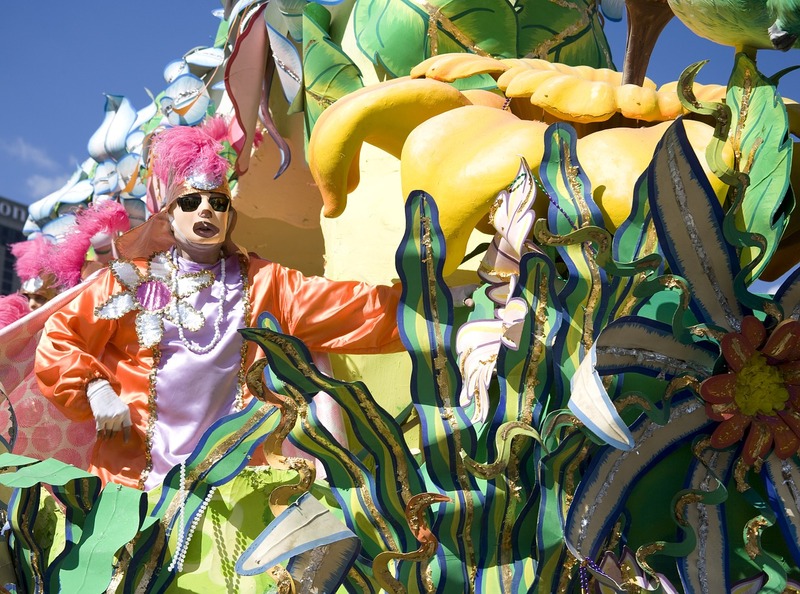 Don’t miss one of Galveston’s most popular Mardi Gras parades.